Variable speed drives specially designed with and for professionals. Advanced functions: Half-floor control, inspection mode, rollback management, direct to floor, evacuation with UPS, load measurement, deferred thermal stop, etc. The year 1998 saw the culmination of a new entity CORONET ENGINEERING PVT. LTD. by Mr. Tarun Thareja & Mr. Pankaj Dua who have years of experience and technological expertise in the areas of process control,automation,plant & energy management. Few years later Mr. Sushil Chandak stepped in 2004 to further strengthen the company management. Ever since our inception, we have laid emphasis on creative but simple solution on any type of applications,industry or institutions. Our belief- one satisfied client leads to another and a proactive multi-disciplined and constructive approach has added much to our growing list of clients and establishment of long lasting business relations as a trustworthy partner for growth. It will always be a prerogative for us to endeavour our very best in offering valur-added services with requisite stock of equipments, accessories and above all- a reliable,trusted and dependable workforce. The company has sharpened its strength in the field of industrial automation by providing services from technical expertise to design, installation, commissioning and maintenance to our value customers. Through our commitment towards quality, reliability, we continue to strive for higher quality products and more satisfied client base in the market. Our products not only offers a longer life but they are also provided to clients at the most competitive prices. 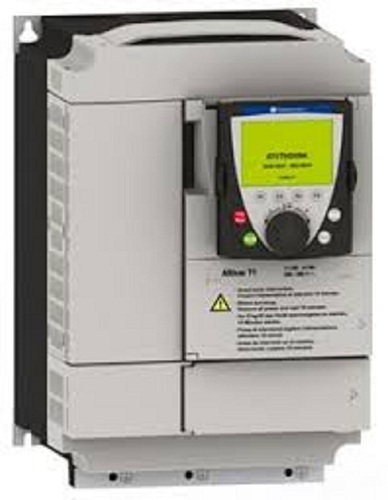 Our range includes Eddy Current Drives, Auto Rescue Device, AC Drives, Variable Frequency Drives, Adjustable-Frequency Drives, Variable-Speed Drives, Microdrives, Inverter Drives, Programmable Logic controller, AC servo motors, PCC panels, MCC panels, Automation Panels, Process Plant Automation, Electronic Auto Rescue Devices, SCADA, Input/Output Signal Hardware Controllers and Eddy Current Dynamometer,Solar inverter pump,Solar Ac pump controller.